special scissors with V-shaped teeth along the blades used to finish edges with a zigzag cut for decoration or to prevent raveling or fraying. E.g-1. 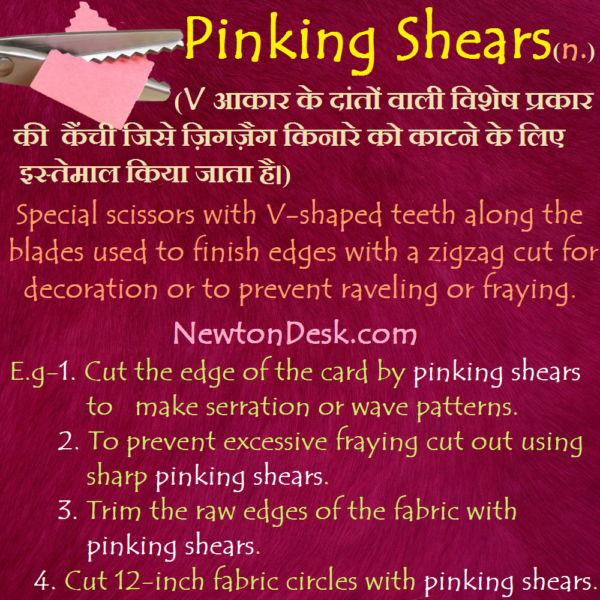 Cut the edge of the card by pinking shears to make serration or wave patterns. 2. To prevent excessive fraying cut out using sharp pinking shears. 3. Trim the raw edges of the fabric with pinking shears.